Summary: An average festive season fantasy diversion aimed at finding an audience for another two instalments. Hyped up as the new blockbuster trilogy to rival The Lord of the Rings, this first adaptation of Philip Pullman’s His Dark Materials series has lofty expectations and a cast to match. The Golden Compass, published as novel Northern Lights here in the UK, sees a little girl in a parallel world start on a quest to discover the truth about a mysterious substance called Dust and fight against an evil ruling authority with a sinister plot involving the kidnapping of children. Stars including Nicole Kidman, Daniel Craig, Eva Green, Sam Elliott and Ian McKellen do their best to bring the book to life, but their efforts are undermined by a restless script that rushes through every scene. 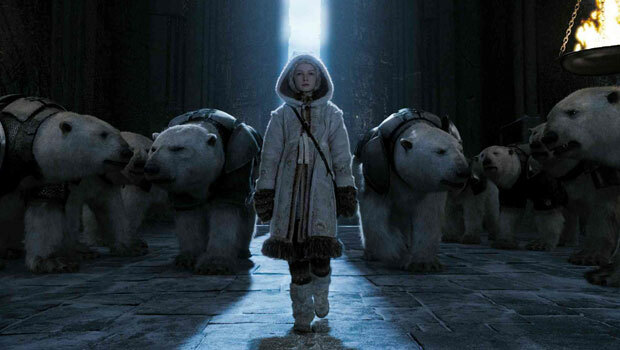 The Golden Compass follows the adventures of 12-year-old Lyra. She lives in a world where human souls exist as animals called daemons and a magical force called Dust fills the air. Her uncle, respected researcher Lord Asriel (Craig), has discovered Dust flows into the North Pole from another world, through daemons and into people. He hopes to harness its energy and travel through to the other world, but when Lyra asks to join him he refuses to take her. However, a mysterious woman named Mrs Coulter (Kidman) is planning a similar trip and takes her on as an assistant. 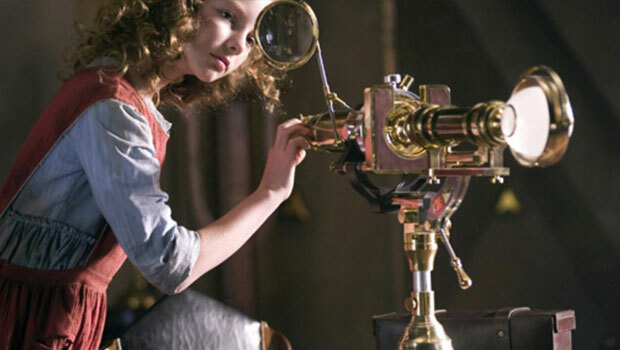 Before leaving to travel north, she is entrusted with the only alethiometer left in existence – a golden compass which uses Dust to enable the bearer to see the truth. But she soon sees a darker side to Mrs Coulter and must make friends with an assortment of witches, outcasts and a giant bear to rescue best friend Roger (Walker) who has been kidnapped for unspeakable experiments. If you’ve already read Northern Lights prepare to be disappointed as director/writer Weitz has stripped down the story to its basics and produced a brisk version of events that whisks through the key scenes leaving little room for character development. Despite their top-line billing, Craig, Elliott and Green are reduced to mere cameo-like appearances to fill in story gaps as quickly as possible. At least Kidman gets to have fun as the villain of the piece as the most used of the A-list talent. It’s not known whether the 113-minute running time was set before the film went into production, but it certainly feels it was made to clock in at under two hours despite all three Rings movies, the Harry Potters and The Lion the Witch and The Wardrobe proving families can sit still for nearly three. Constricting such a dense fantasy novel as Northern Lights is one of main reasons The Golden Compass might be dismissed as a lightweight blockbuster – it’s devoid of any substance. Newcomers to the His Dark Materials series will be wondering why there was so much anticipation before its release. Although the CGI daemons look like they really do exist, they are under used with only Mrs Coulter’s evil golden monkey getting enough to do to be remembered. The impressive form of giant bear Iorek Byrnison (voiced by McKellen) is certain to be a favourite with the children too. Beyond the animals, Weitz never gives the story a chance to build and draw you into its fantasy setting. There is a lot of meeting and greeting new people requiring far too many introductions quickly broken up by a fight or a reason to get to the next plot point. Given that a voiceover at the film’s opening explains many of the secrets slowly revealed throughout the novel, a lot of the mystery that could have retained the waning interest is removed. What remains is an average festive season fantasy diversion aimed at finding an audience for another two instalments. There is a lot of work to be done if New Line Cinema expect them to be monster hits like The Lord of The Rings because The Golden Compass won’t have anyone pleading for more.